The Schwinn 170 Upright Bike is designed to give the users an authentic cycling experience from the comfort of their homes. The manufacturer is known for great innovations that serve the needs of all athletes. This product will allow you to enjoy a stable fitness regime in spite of the conditions outside and its convenience will hardly interfere with your tight schedule. This upright bike is one of the best spin bikes in the fitness market. Acquiring it will offer great value, comfort and excellent results for your efforts. Its performance is quite good and the durability of this equipment is guaranteed. There are a variety of features and specifications that enhance the functionality of this Schwinn bike. It is technologically advanced to ensure that the user achieves the best from their routine. The settings can be personalized to match the user and the progress analyzed. The Schwinn 170 Upright Bike is handy for those working towards a weight goal or aiming to increase their strength and endurance levels. Consider acquiring this model if you are interested in long-lasting and effective exercise equipment. It is important to be aware of the improvement that has been made during every session as well as the long-term achievements. The Schwinn 170 Upright Bike comes with an LCD console that has two windows to display the data. There are thirteen feedbacks that are displayed on the screen for each session. These include the distance covered, speed, calories burnt, the time and the heart rate. They help you ensure that you are deriving optimum benefits and will serve as a warning sign if you are overdoing it. The console also allows data upload to a digital device such as a phone or tablet via a USB port that is available. The data can be exported to the Schwinn Connect website to help you keep track of the goals that you have set. It also helps you analyze your general progress and you can also project your expectations of the future if you maintain the consistency. The USB port also allows the device that has been connected to be charged. The Schwinn 170 Upright Bike has a lot of features but the ability to customize it to suit your needs and preference is one of the best features. There are twenty-nine programs that are predefined in the machine making it easy to choose a fitting regime. User settings can be stored in the machine and retrieved during the workout sessions. This model supports up to four users. Each can use the equipment without interfering with the other’s settings. The performance of the Schwinn 170 is exceptional. The flywheel that has been installed to enhance the cycling feel is well-weighted. It operates with a high inertia and has been precisely balanced for a quiet operation. Those who favor listening to music or watching TV during their sessions can do so without strain. The pedaling is also smooth and has steady consistency. This limits any possibility of getting unnecessary aches in the joints and muscles. The resistance levels in the spin bike are twenty-five. This is the perfect choice of product for advanced athletes who have the great experience with exercise regimes. Novices will also start at simple levels and work towards the more challenging levels. It is the best solution if you are looking for extended service. The bike is comfortable with possible adjustment for the seat, handlebars, and pedals. Handy LCD console that allows monitoring of progress. USB port that connects to devices for data exchange while also charging. Data export from the bike is compatible with Schwinn Connect and MyFitnessPal. The users can customize settings to suit their needs and keep the motivation. Twenty-five levels of magnetic resistance are available to create varied challenges. Luxury features are installed. These include acoustic speakers, bottle holder, and removable armrests. The equipment comes with a detailed warranty plan from the manufacturer. The users of the equipment have ranked it well in popular platforms. It is a worthy investment that offers incredible service. People of all statures can use it comfortably and the build can handle varying weight capacities. Some users have complained about the poor effectiveness of the fan installed in the bike. 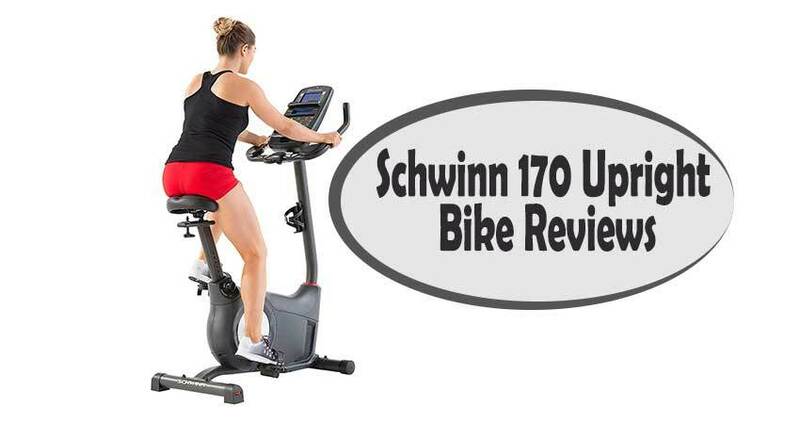 The Schwinn 170 Upright Bike presents an opportunity to live a healthier lifestyle. It is a high-end bike with features that will make your experience enjoyable and effective. You will get more comfort, great predefined user programs and a better range of workout resistance levels.